Our annual college trips have been an integral part of our academic program for years. The trips give our students the opportunity to visit college campuses for the first time and see what it is like to be a student on a large college or university. We try to take day trips to local colleges and universities each year and one longer weekly trip to Northern California to visit large UCs and state schools farther away, from USCB to UC Berkeley. These trips allow our juniors to visit several college campuses and discover which one is the best fit for them. Without these trips, our students would not have the resources to visit the campuses on their own. We have current college students who are SOY Alumni give tours of the colleges we visit, which is a real treat for our students. It is easy for our SOY teens to identify with a college student that was once a SOY member like themselves. They have the opportunity to ask many great questions, and they get to see all the key buildings a college student uses, including classrooms, dorms, school gyms, libraries and commons. 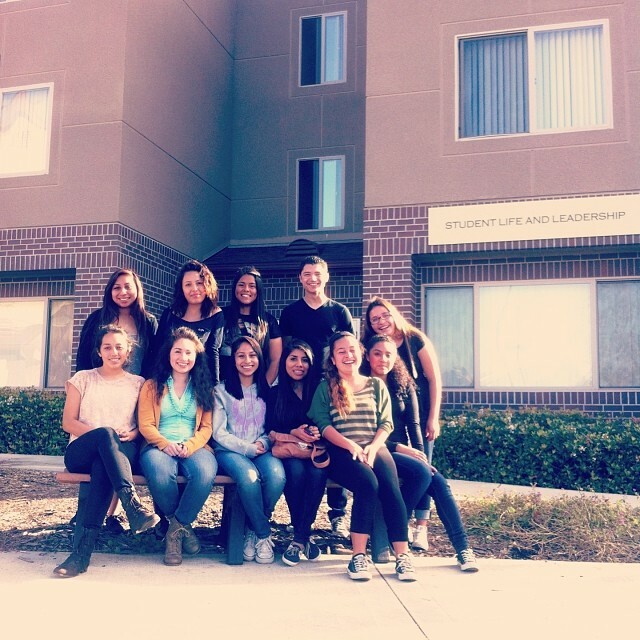 This year in 2014, we have visited UCI, where SOY Alumna Hannah Gutierrez, along with our SOY UCI intern Daniel Cano gave our students a tour of the campus. 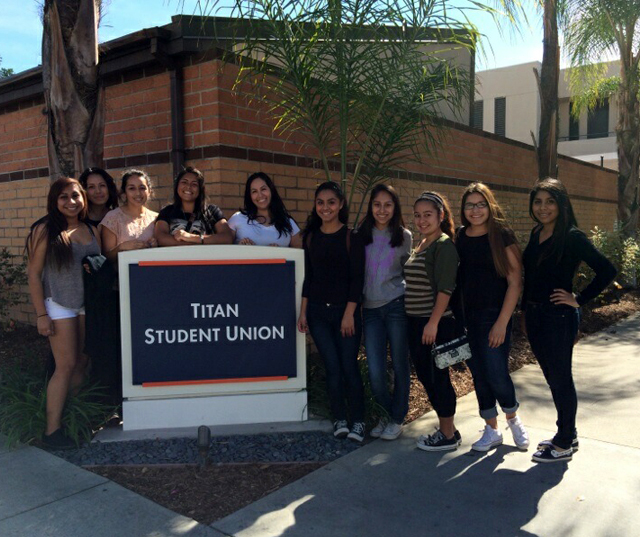 We visited Cal State University, Fullerton where Alicia Marquez and Adriana Flores (both SOY Alumni) gave us a tour of their campus. We visited Cal State University, Long Beach where we met with Manny Hernandez and Elaina Salinas (both Alumni) who gave us a tour of their campus. Last, but certainly not least, we visited Cal State University, Dominguez Hills where Lucia Martin (again SOY Alum) gave us a great tour of her campus. During spring break (April 7-11, 2014), we will be heading on a week long trip to Northern California to visit more college campuses. 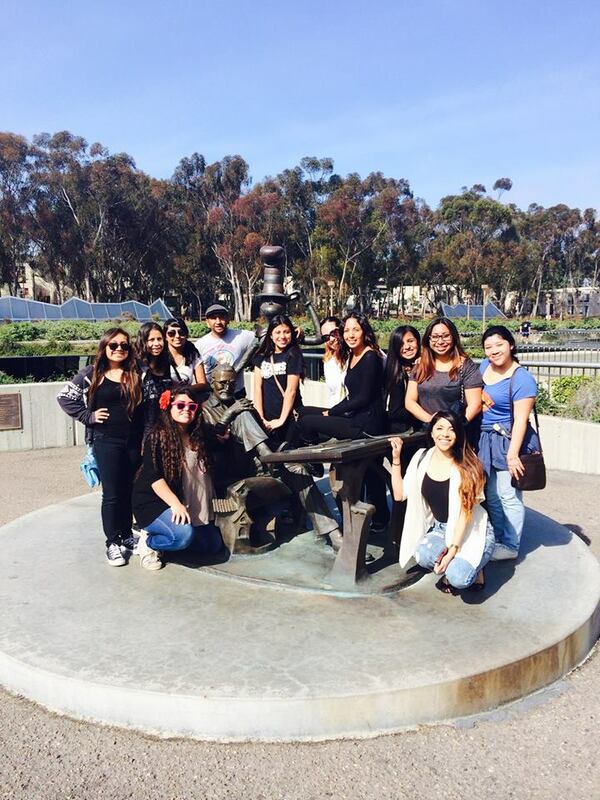 Every year we take abut 12 students from the Newport Mesa Unified School District to visit UC Santa Barbara, Cal Poly San Luis Obispo, UC Santa Cruz, San Jose State, San Francisco State and UC Berkeley. They will stay in hostels near the campuses, get tours from our SOY alumni attending those universities and attend special events at the campuses. If you would like to help donate to our College Tours, please click here.